I have a silly question. Does the hamster that appears asking for signing in has a name? Is him or her some kind of mascot? 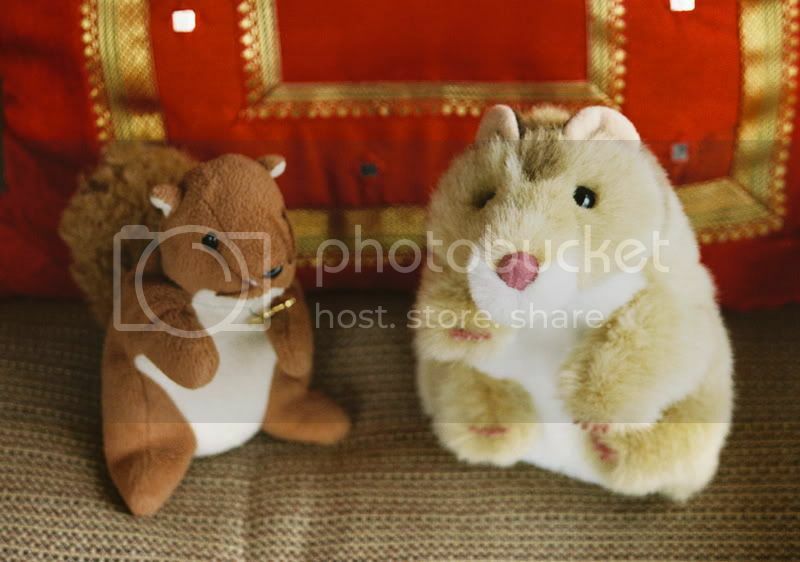 Here are a couple of humorous topics on the subject of A2K hamsters that will tell you more than you wanted to know about the little critters. One of them escaped and became quite a world traveler. Penny the Hamster became an unofficial mascot as she visited various members around the world and shared their photos and travel diary for a few years. This is Penny visiting her friend Rocky before heading off to Chicago. His name is Home Slice. He used to only have a number. Rocky and I had a nice visit, both at work and at the Samon Ruins site. Never got to meet Penny, but comparing the early and late photos, she was definitely well fed, especially after becoming a displaced hamster in some place like Singapore. It is a beautiful name when translated and adapted to spanish folk lore "pedacito de hogar"
And he has a friend squirrel. Seems that he has quite a history. And he helps to solve the mystery of how Jespah seems to be everywhere answering so many questions. She has a furry helper. It's very tasty - especially with Vegemite! That was somewhere in Thailand. I suspect that Penny became the unintended friend of someone's small child. Penny the Hamster is definitely a girl. She went to belly dance class when she visited Toronto. She went to a number of concerts in her travels, drank too much and while in Boston met a Nobel Prize winner. Penny developed a bit of a drinking problem. It's sad, really. Home Slice owes me $5.00 for gas money. I really do miss Lady Penny since her stay here in NYC. Is she still globe trotting or is she on a long staycation? Home Slice is about to find out my pimp hand is strong....and long. But where is Penny right now? Did she solved her drinking problem? Maybe she has already stablished and has family. Did she is related to Home Slice? Penny is living under Sozobe's castle somewhere in the midwest US. I don't think that Home Slice and she are blood related (well at least not closer then 4th or 5th cousins ).